Community leaders and hospital personnel gathered April 5 to unveil the new Heritage Building on the Wamego Health Center campus. The Heritage Building houses the area’s only senior behavioral health service and serves the Wamego and surrounding communities. 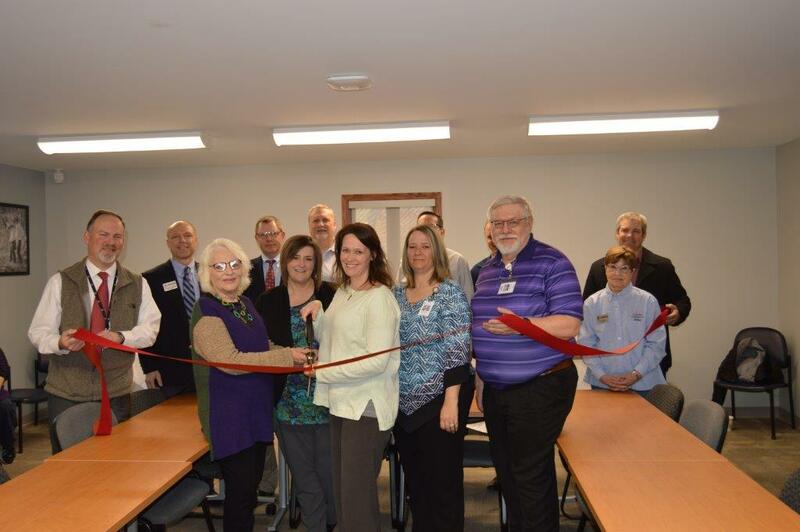 “When we started this project, a lot of community members came and asked me what was going in this building,” said Steve Land, Wamego Health Center administrator. Wamego’s senior behavioral health program cares for only Medicaid patients, according to Bob Copple, Via Christi Hospital in Manhattan president. 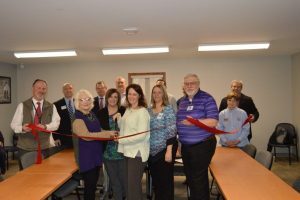 The senior behavioral health program moved from Manhattan to Wamego several years ago, Copple added. “One of the great things about this program is we actually have the funding to transport patients here for care,” Copple explained, adding that the new building brings in a home-like feel to patients because the environment where a person is being treated matters.